We’re getting ready to kick off a great Scouting season, starting with a picnic full of food, friends and fun. We’ll need some volunteers to help with set up, clean up and a little activity supervision in between. So, if you plan on coming, please sign up here to pitch in! Bring the family and invite friends that are interested in joining the Pack. We’ll have burgers, hot dogs, desserts and plenty of food all around, along with tug-o-war, bounce house and water bottle rockets! 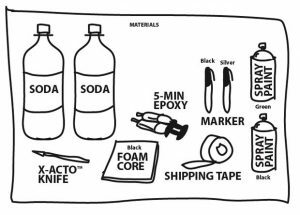 Start saving your two-liter bottles and follow these instructions to build your own rocket to bring to the picnic (we’ll provide the launcher). Let’s see how high we can fly this year! Sign up here to let us know if you’re coming and how many people you’re bringing. We want to make sure to have enough food to go around! Hope to see some familiar and new faces! 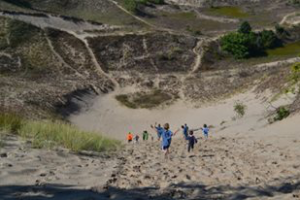 The annual Pack 24 camping trip to Warren Dunes is coming up September 7th – 9th. It’s tons of fun in the woods and on the beach. More info coming soon. In the meantime, check out the photos from last year’s trip to the Dunes and start getting excited!